GIS Plus is a firm driven by young enthusiats who enjoy good reputation due to dynamic and innovative nature. To bridge the gap between industry and academia in addition to providing direct customized solutions to various stakeholders. To provide competitive, strategic and quality GIS services and products that will benefit the communities. Our vision is to lead from the front in the Geospatial Technology while providing quality services. As the volume of data is increasing, the need for Big Data Analytics is on the rise in particular geospatial data. We specialize in GIS APP Development to Customaize both Desktop, WEB & Android Applications. With the abandance of Spatial data, the need for GIS applications with strong backend Spatial database support is always required. We offer strong backend Spatial db support. Delivering Customized E-learning Modules for Different Sectors as Per the Training Needs. Web GIS has gained prosperity in future. We are providing the complete Web GIS management & reporting interfaces. In its very essence, this project aims at developing an Android application for offline data collection and monetary purposes of the water supply and ODF for the rural areas using GIS location tracking of all ADP and CM Directive schemes and promises to disseminate the results through MIS system. The MIS system will also help in determining the authorities of all the involved stakeholders and give access to relevant data only. HMS provides housing societies a smart GIS based real time management system that enables a housing societies to operate efficiently in all concerned areas which includes land/property management, utility management, incidents reporting, points of interests mapping and facilitate to generate reports for decision making & analysis. The proposed system provides a facility to register a request through a web portal and mobile as well as utilizing the existing arrangement.Furthermore, a complete financial system has been integrated.Furthermore, bio-metric, secure allotment and transfer module are also part of our product. 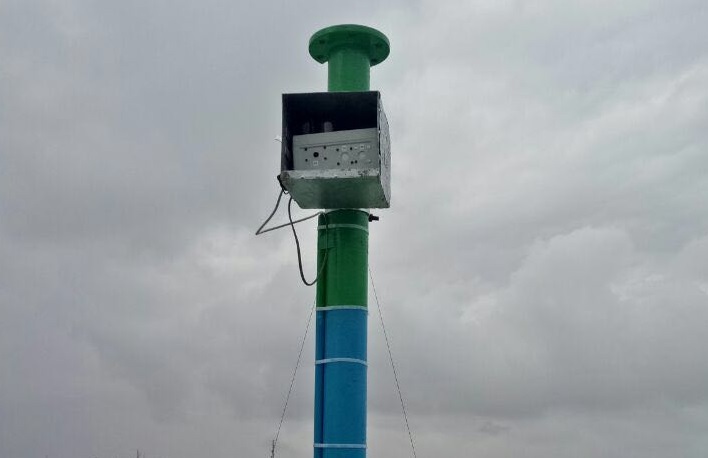 The Air Quality Monitoring System measures various air quality parameters. These include Temperature, Relative Humidity (RH), location, SOx concentration, NOx concentration and Optical Particle Counter (PM1, PM2.5, PM10). These sensors are placed on a Printed Circuit Board (PCB) which are connected to an embedded processing platform. The embedded platform samples the air at defined intervals, perform data filtering and cloud connectivity. 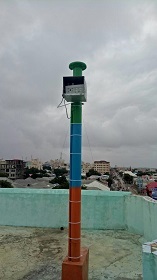 The device utilizes mobile networks and internet connectivity to transmit data to a central server where it is processed before being uploaded to the Air Quality Web Portal. GIS Plus Total Solutions aims to provide professional services to its clients. GIS Plus specializes in GIS technologies that provide large scale GIS based software applications across multiple business domains such as real estate, energy sector, transportation, emergency services, and generic organizational decision making. The company builds, deploy and support GeoSpatial web and mobile applications using both Android and iOS platforms. Address: 1st Floor, CIE Building, NUST, Sector H-12, Islamabad, Pakistan. 2016 © GIS Plus Total Solutions (Pvt.) Ltd. ALL Rights Reserved.